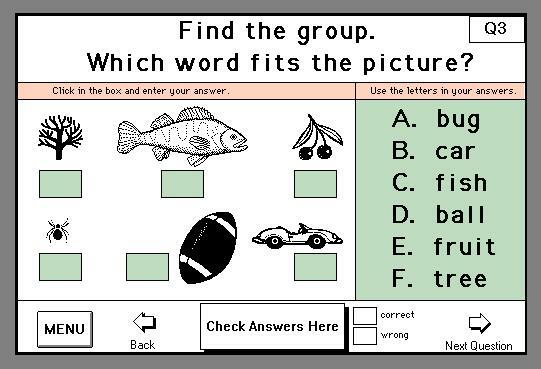 Reading Comprehension Software / Critical Thinking Skills Software - Level 1 - Elementary readers will enjoy the fun and challenge - improve early reading skills, reading comprehension and critical thinking skills. This is a critical thinking skills software program that will be good for young students as well as adults who are learning English and the nuances of the English language. 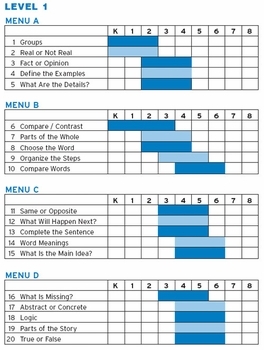 Basic reading skills are practiced with twenty critical thinking topics accessed from easy to use clickable menus. Each screen is scored and students always know if they are correct or not. Scores are automatically calculated and stored. Scroll down to view sample screens. Click on each screen to enlarge for better viewing. 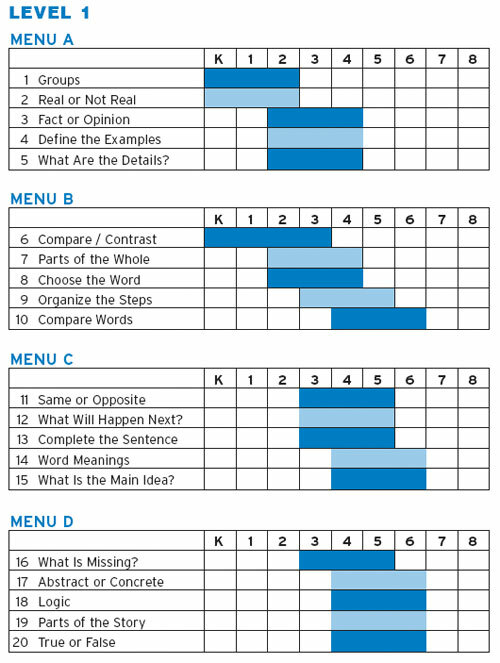 Each section of this reading comprehension software and critical thinking skills software begins easy and gets progressively more difficult. Students will develop basic reading skills,reading comprehension and problem solving skills. Reading and thinking prepares students for testing. Critical thinking skills are necessary for effective reading. Although this reading comprehension software is appropriate for young elementary readers, it is also very appropriate for older students who need to strengthen their reading skills. Colleges are using this reading comprehension software CD for students who are learning to speak English as a second language. This software motivates the student to improve early reading skills and develop critical thinking skills while providing teachers with measurable results. This first program in the "Reading and Critical Thinking - Level 1" series is $49. This product is available for for Windows XP and Vista, or Macintosh OSX.